It’s not often that I come across a book that I want to read beginning to end and back again. You know the kind you can’t put down. I just finished one of those books. I feel privileged that I received an advanced copy and even more excited to share the book review with you! The book includes 59 lies we tell ourselves. The lies that come from that inner voice telling us the negative and holding us back in various areas of life. Each “lie” is exposed through Amy’s Truth, followed by a Challenge for the reader and last, an Affirmation. The book includes sections on self-worth, self-care, success, money, love and relationships, being authentic and spirit. I had better be perfect. I’m supposed to be farther along. The exercises provided will help turn that The Inner Critic/Your Inner Mean Girl (we all have) into the Inner Wisdom that is there within each of us. The wisdom that will support and guide, not diminish and demean. Written as if your best friend is talking you through a rough patch, Amy has a way of laying out those “lies” in a new light. It’s fun, light-hearted yet delivers an important message that we need to not be so hard on ourselves. We are so used to putting down what we do, how we do it or even what we look like– all from that little voice in our mind. It’s time to grab hold of the Inner Critic, that Inner Mean Girl and embrace the Inner Wisdom each and every one of us has just waiting to come out. It’s given me a whole new perspective on how I acknowledge who I am and what I am doing. You can read it cover to cover or simply pick out the sections that call out to you. It’s an excellent resource to keep for future reference. Take the time for a “check-in” every couple of months or when you need a refresher. I know I will. 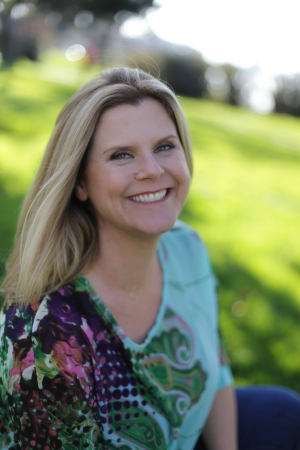 Amy Ahlers, the Wake-Up Call Coach and bestselling author, is on a mission to stop women from being so darn hard on themselves. Since 2000, she has been an International Certified Success Coach, the CEO of Wake-Up Call Coaching and co-founder of Inner Mean Girl Reform School with Christine Arylo, Visionary Ignition Switch with Lissa Rankin and Find Your Calling with Lissa Rankin and Martha Beck. Her newest passion is supporting moms to embrace the whole truth of motherhood, messiness and magic with the Mama Truth Circle. This book review includes the thoughts and opinions of the blog owner. No compensation was exchanged for this review. A copy of the book was provided by the publisher. What would you do with 96 years? Wake up your inner superstar. . .I love that. Sounds like a great book. How many times do we get trapped in those little lies that play in our head. Glad I clicked over today! So glad you clicked over, too! The book is very inspiring and hit home for me in different areas.